Adwords is one of those things that real estate investors know they need if they want to generate high quality leads for their business, but don’t necessarily know that much about. That’s ok! You’re not supposed to be an expert at PPC and Adwords, you’re an expert at buying, selling, fixing, and flipping. That’s why we’re going to go over Adwords techniques for real estate investors so that you can get a better grasp on what it takes to run a successful campaign. 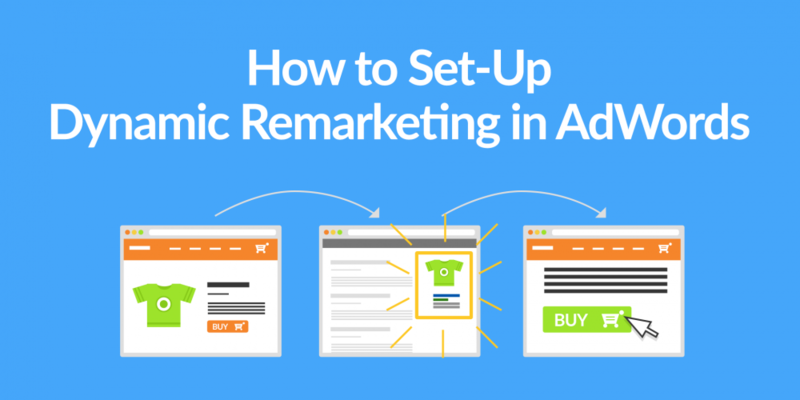 Before we can talk about how to use dynamic remarketing in your Adwords techniques, you need to understand what it is. WordStream explains dynamic remarketing as a feature where “Google will dynamically create ads for you that include your price, image, and text of your choice, all based on the behavior of your website visitors”. Originally, this feature came out in 2013 and has become an incredible tool for e-commerce businesses ever since. Basically, this feature allows advertisers to create customized ads based on their product or service automatically. For real estate investors, this makes creating ads to run so much easier. There are templates to choose from, so all you need to do is fill in the information you need and it’s set. With Google’s dynamic remarketing feature, you can show your services and information right there in the ad. If you’re a house flipper, you can showcase your buying services for motivated sellers. Or, as a wholesaler, you can show your properties and their information for other investors to see quickly. Because this is such a strong feature, Google states that CTRs are 450% higher than typical marketing campaigns for businesses. This feature isn’t included in your Google business or existing Google Adwords account. You’ll need to create a Merchant Centre account in Google, then link it to your Adwords account. To be able to track everything, you’ll also need to update your Google Analytics account with the information from Merchant Centre. Because this is an automated feature, you need to be updating your feed so that there is enough information to be pulled for your ads. This can be pretty time consuming, but it’s worth it. You can easily overcome these cons by getting a Virtual Assistant. The more positive reviews you have, the better your reputation is. Like video testimonials, positive reviews show your target audience that you’re a professional real estate investor, that you work well with your clients, and that your business is trustworthy. Because the majority of online customers seek out reviews before making a decision on a local business, you want your positive reviews to be easily accessible to motivated sellers. With this feature, you’ll be able to attach online reviews from reputable websites – Yelp, YellowPages, BBB, Angie’s List, etc. – to the top Google search result. As long as the review extensions are accurate, reliable, credible, and non-duplicative, then you’re good to link it to your ad! This is one of the better Adwords techniques for real estate investors because it builds your online presence and credibility. 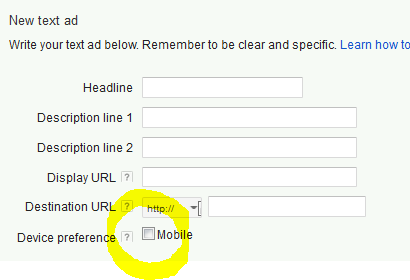 Unlike dynamic remarketing, this feature is already available through your Adwords account. All you need to do is select Search Campaign, click Ad Extensions, go to the dropdown menu and click on Review Extensions. You’ll want to add an extension by clicking the plus sign, then add a new review. Once you’re done, go ahead and save. Your review will be pending for a little bit, but once it’s done you’ll want to click save one more time to submit the review extension to the Adwords team. It’ll take a couple of days for Google to approve the status, but once that’s done then you’re good to go! For a more detailed look at how to set up your review extensions, check out this article from AdHawk’s Blog. When it comes to Adwords techniques for real estate investors, mobile optimization is the best way to get in front of a lot of people. As of August 2016, Search Engine Land reported that “nearly 60% of searches are now from mobile devices“. Which means, if you’re not running mobile friendly ads, then you’re losing out on reaching a majority of your leads. To best advertise to your target audience, you need to think like them. When a motivated seller is looking to sell their house for whatever reason, it’s something that’s always in the back of their mind. Dealing with a house is an emotional venture, so it’s something that typically is nagging in someone’s mind. When they’re casually browsing their mobile devices at the end of the day, you want your ad to show up. Mobile optimization isn’t difficult to make, but is definitely something that you need to make sure is getting done. Again, you don’t want to not get your ad in front of 60% of your audience because it’s not running well on mobile devices. When you create your ad, there should be an option at the bottom that reads “device preference“. Check the box that reads “mobile”, and boom you’re good. Just to make sure that you’re optimizing your ad for mobile devices the right way, we’ll go over some more optimization techniques. You don’t want to make your ad too wordy. The more concise you can make it, the better for mobile optimization. As long as your text is leading visitors to the pages that they want to go to, you’re doing a good job with the wording. The next step will be to have your local extensions and call information available to click on, not just to look at. The point of making your ad mobile optimized is for people seeing that ad to take action immediately. If your business number isn’t clickable, and leads them right to calling you, then you haven’t optimized the ad for mobile devices. If you don’t have time to implement these Adwords techniques for real estate investors, don’t worry. We know that you’re a professional real estate investor, not a professional digital marketer. On the other hand, you already know that you need online marketing to grow your business. 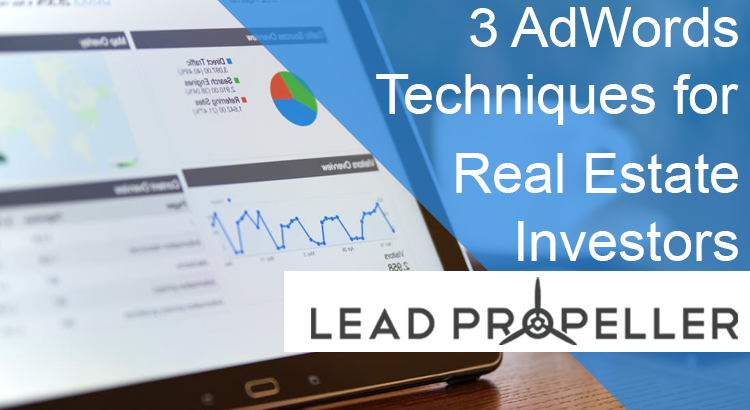 That’s why LeadPropeller has professionally managed PPC services made specifically for your real estate investing business. Your time is important, and we don’t want you wasting it on Adwords techniques and PPC strategies. You should be gathering leads and closing deals. More importantly, you should be spending your time doing what you want to be doing! Financial freedom is the whole point of being a real estate investor. 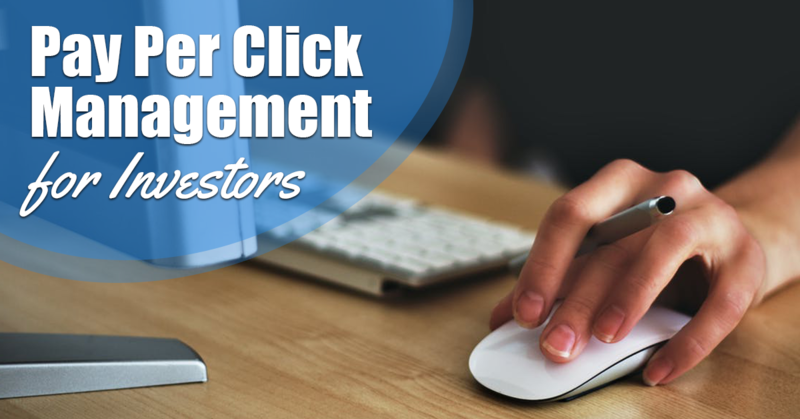 With our professionally managed PPC services, you’ll get top of the line PPC management and strategies. These strategies are up to date, highly targeted, and personalized to your business area and specifications. You’ll show up above organic search results for both desktops and mobile devices. In no time at all, you’ll see high quality leads pouring in. Have a question about the service? No problem! Give us a call today at (210) 999 – 5187, or visit our website at LeadPropeller.com/adwords.